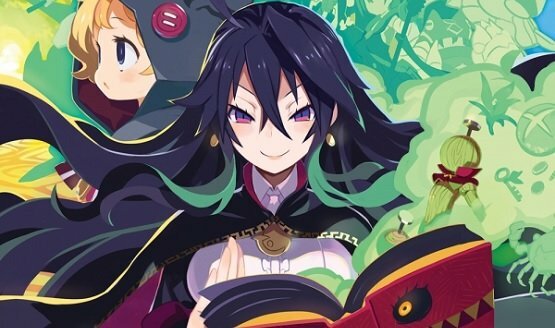 Labyrinth of Refrain: Coven of Dusk manages to strike a fine balance between being a tradition, first-person dungeon crawling experience and something just a bit more updated and fresh as well. There are moments where the menus upon menus threaten to swallow this title up and become cumbersome to a fault, but there is an interestingly dark tale here mixed with a very cool character creation system that allowed me to enjoy the game despite a couple of issues incapable of holding it back from being a lot of grindy fun. Stories tend to be a bit thin in the dungeon crawling genre, since the majority of your time is actually spent doing the exploration itself. Classic titles like Wizardry had almost no narrative to speak of, while later entries in the genre like Shining in the Darkness and the Etrian titles at least try to make good use of cutscenes to get things rolling. 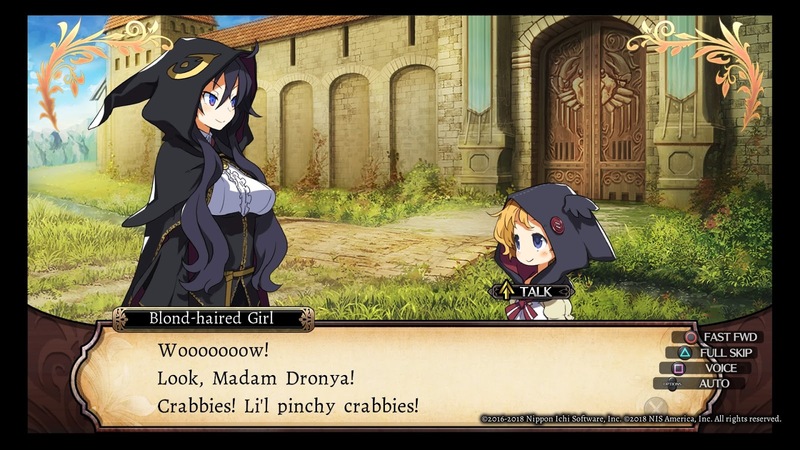 Labyrinth of Refrain: Coven of Dusk takes its cues from the latter titles, kicking off a story about a deadly maze beneath the city of Refrain. Or somewhat grouchy protagonist is curious what secrets the labyrinth could be harboring, but there is a dark energy that prevents people from safely traversing its depths. Instead our protagonist Dronya has come up with a plan to use magically animated puppets to do her exploration for her by using a living book called Tractatus de Monstrum. Once you get past that bit of narrative, the focus shifts to party creation. One of the things I really like about this title is that your party is ever-evolving it feels like. Certainly in traditional dungeon crawlers your party will change over time as well. 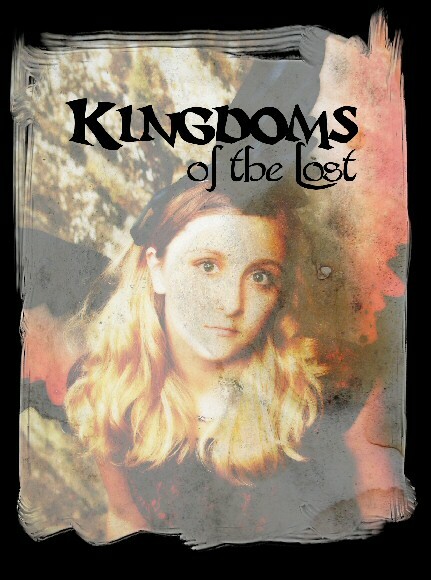 The members will gain new items, earn new levels and by extension often acquire new spells and skills. However, they are generally the same four or five characters you started with. 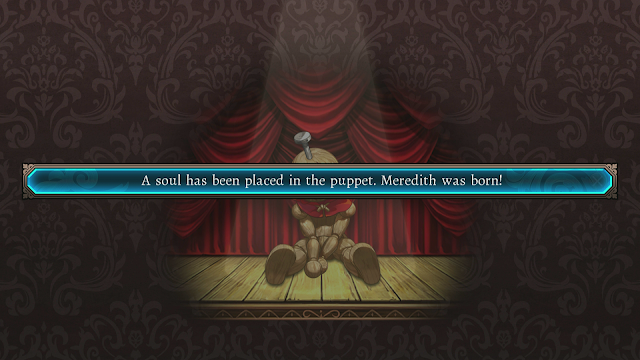 In Labyrinth of Refrain: Coven of Dusk you have the opportunity to build your own puppets using a wide variety of parts and a soul, tweaking the aesthetic with a portrait and voice set. Once could make the argument that this provides an almost overwhelming number of options for someone new to the game. You still have the standard progression options, earning experience to build your stats up but where this system really differentiates itself is in how you continue to acquire more customization options the more you play the game. Your parties will continue to grow and change over time, to epic numbers really. This creates a really entertaining hook that feels a bit different than the usual progression in these types of games. Then it is on to the actual dungeoneering (I'm not entirely convinced that's a real word). We are talking about a really massive maze here, with tons of threats along the way both from enemies and traps. This is all pretty traditional fare for the genre, which lives on a grid based system of north/south/east/west movement. In the olden days of yore, I used a whole lot of graph paper, but the built in automap functionality here works great, even if it and several other aspects of the interface feel somewhat buried under waves of menus. 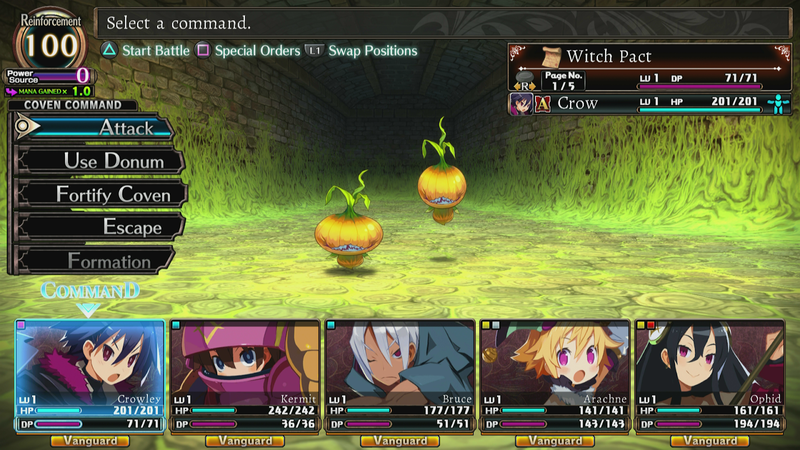 Still, the exploration of these dungeons has always been the primary hook for me, and I have to say that there is a satisfying risk versus reward style of play in Labyrinth of Refrain: Coven of Dusk that I both loved and loathed (the latter really just due to the tension it caused me). The longer you are in the dungeon, the better the odds of getting quality loot - but you run the risk of getting mopped up by more powerful creatures as well. 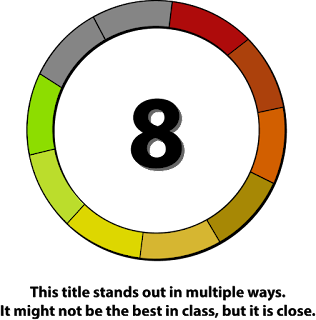 This risk / reward is further emphasized through the gathering of 'mana', which occurs when you find it in dungeons and kill enemies. The higher your mana, the better your item drop rates are - but the more likely you'll eventually get stomped by stronger-than-usual monsters. The dungeon crawling genre generally plays by a pretty linear set of rules. You walk around passages and look for keys and switches and have to wander about predetermined paths until you can find a way to further advance. Those elements are still here, but perhaps the most shocking new element found in Labyrinth of Refrain: Coven of Dusk is the ability to knock out spots in walls. 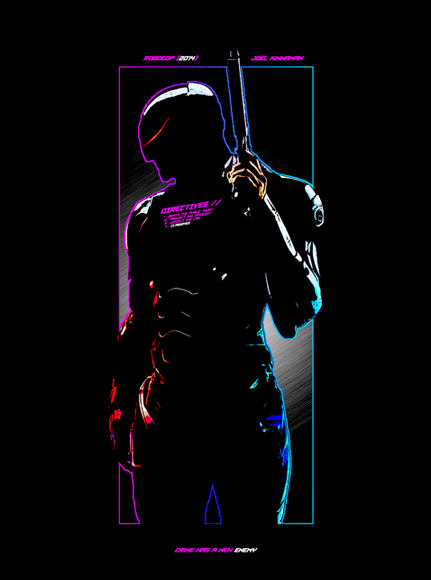 You cannot do it to every wall you encounter, but enough of them (using a very limited reserve of energy so you can't go all Wreck It Ralph on the place) that a party in trouble can perhaps create an escape route or perhaps a locked door you lack a key to can be bypassed. Again, it is not a cure-all for every situation, but it's a decidedly different option to have at one's disposal in a game like this. The combat itself is of the strategic turn-based variety, which is my personal favorite of the more action-oriented dungeon crawlers out there. Most of the time, I just choose to attack (and it's pretty great that they have a simple one-button all-out attack option instead of having to go through and manually choose it for each character), but there are defensive and spell-casting options as well. Having so many different types of characters and combinations can mean an overwhelming number of choices during combat. That and the usual difficulty spikes that come with this type of game (since this is turn-based, and combat is made difficult through random numbers getting crunched in the background and not hand-eye coordination) do not make Labyrinth of Refrain: Coven of Dusk the most approachable title out there. If you are new to the genre, the many menus and options could be pretty daunting. Thankfully the in-game tutorials do a nice job of explaining things and the new content and options come to you in slices along the way, allowing you to get used to everything at a nice pace. In terms of overall presentation, the sound effects can be a bit repetitive (you are generally doing the same things in the same menus over and over again), but the music is appropriate and generally enjoyable. Visually the aesthetic is comprised of dark menus and brightly colored characters reminiscent of other titles released by Nippon Ichi such as their fantastic Disgaea series. However, despite these bright, almost cheerful puppets and enemies you encounter, Labyrinth of Refrain: Coven of Dusk is actually a pretty darkly themed game. A lot of this comes from Dronya, who is cold and off-putting by nature - especially early in the game. Her assistant comes in the form of a child named Luca, who is almost sickly sweet to a fault, serving as a nice personality foil to the more front-and-center Dronya's grumpy demeanor. Add this to a dark and unwelcoming dungeon, and we have a title that may look bright and vibrant, but actually has a much darker underside than we usually see from Nippon Ichi.